Don't be afraid of looking silly because that's the only way you'll let others discover your true animal nature. 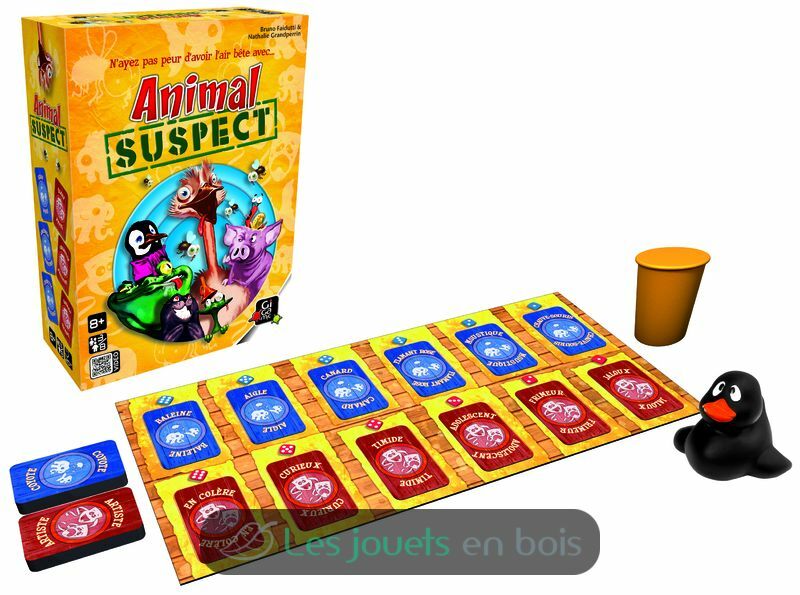 To set up Animal Suspect, lay out six animal cards and six expression cards on the game board next to the die faces numbered 1-6. 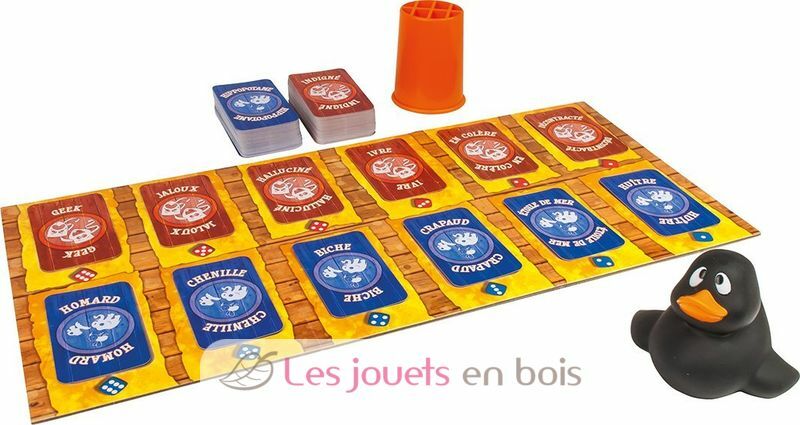 On a turn, one player rolls two dice in secret, looks at the cards matching the numbers rolled, then imitates this particular combination as best she can. Will she be a shy mosquito? An attentive walrus? An amorous octopus? Whoever guesses the proper combination first wins a card, along with the imitator, and whoever collects the most cards wins. 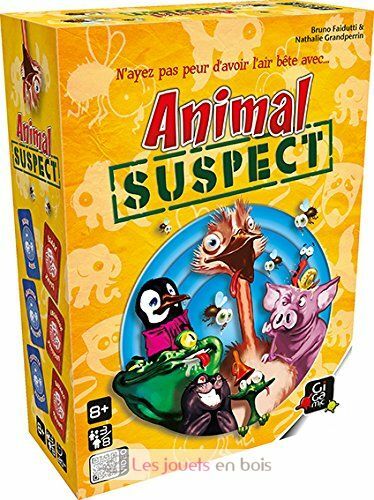 Animal Suspect, a game made by GIGAMIC. Item number GFAN.